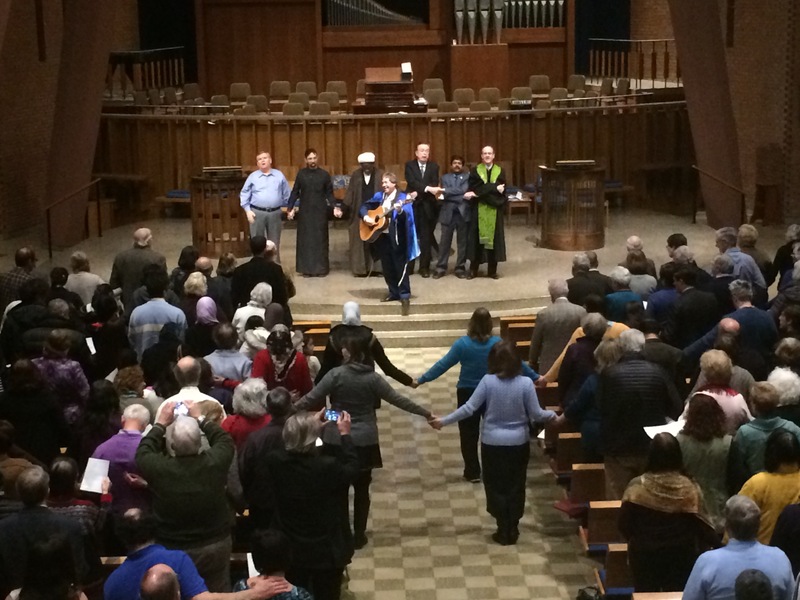 After a series of prayers Feb. 9, worshippers joined hands and sang “We Shall Overcome,” the final anthem of the service held in the shared sanctuary of BHPC and BJC. Photo by Camille Caldera. Three hundred Montgomery County community members gathered Feb. 9 for an interfaith worship service in response to a recent terrorist attack at a mosque in Canada as well as President Trump’s travel ban from seven Muslim-majority countries. Members of Bradley Hills Presbyterian Church (BHPC), the Bethesda Jewish Congregation (BJC), the Islamic Community Center of Potomac (ICCP) and Idara e Jaferia Mosque united to pray, sing and forge solidarity. The service took place in the sanctuary of the worship space BHPC and BJC have shared for the past 50 years. “Hearing how anxious and unsettled people are at what’s happened in America on a policy level and at the state of the world’s tensions, I felt like individuals would benefit from it,” said pastor David Grey, who organized the service. Grey built on existing partnerships between the four congregations—which have an annual interfaith service—to organize the service on short notice. The service included readings and prayers in English, Hebrew, Arabic and Sanskrit. Rabbi Sunny Schnitzer led attendees in music throughout the service, including the Hebrew and Arabic song “Od Yavo’ Shalom Aleinu” and “We Shall Overcome,” an anthem of the 1960s African American Civil Rights Movement. Midway through the service, Grey interrupted to report that the 9th Circuit Court of Appeals ruled to uphold the stay on Trump’s travel ban. In unison, the room of worshippers rose to their feet, cheering and applauding, some exchanging hugs and claps on the back. The more we understand each other, the more we are able to get along and make good decisions about each other. Grey hopes worshippers left the service with renewed resolve to fight for values of both democracy and religion, along with a sense of unity. This message reached many attendees of all ages and faith backgrounds. “The service made people feel more like a community and less separated by their religion,” Pyle sixth grader Ethan Schenker said. Muslim worshippers were especially grateful for the community’s support. After the service, worshippers gathered together for refreshments and conversation. 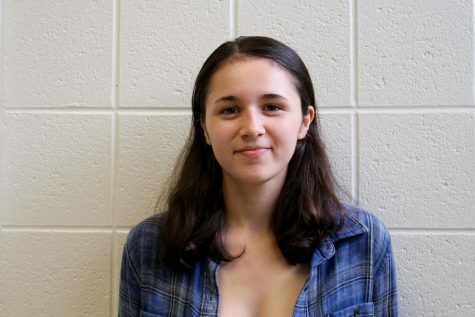 “It was just amazing to hear the spirit of community and love amongst a variety of different religions,” Grey said.